The American Academy of Cosmetic Dentistry recently conducted a study and found that a sensational smile can make you seem more intelligent, interesting, and successful. With a passion for excellence, Albuquerque cosmetic dentist Dr. Boehmer has the dental expertise and artistic skill needed to give patients beautiful teeth. Cosmetic dental procedures like teeth whitening, porcelain veneers, and Invisalign will erase smile imperfections so that you can reap the rewards of a bright, bold smile. If we need to correct more than just stains and discoloration, then porcelain veneers may be the ideal solution. 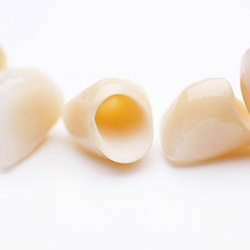 These hard but natural-looking coverings are cemented to the visible side of your smile in order to conceal chips, cracks, fractures, slightly crooked teeth, and teeth that are too small or misshaped. When planning the creation of a new dental crown, inlay, or onlay, dark-colored metals are no longer the restorative norm. Whenever possible, Dr. Boehmer will strongly recommend the use of all-ceramic materials for superior aesthetics instead! These new smile additions are so seamless to the eye that they even reflect light in a similar fashion to natural tooth enamel. Patients won’t have to worry about dark lines forming near their gums over the lifespan of the restoration, and the biocompatible nature is safe for all patients, even those with proven allergies to traditional metals. 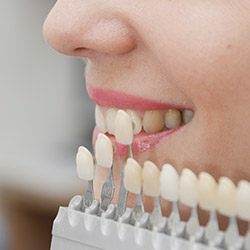 If you are looking for a fast and convenient way to improve the appearance of teeth without cutting corners on quality, cosmetic bonding could be the right approach. This treatment option only requires one appointment in most cases, during which Dr. Boehmer will apply white composite resin and sculpt it into place with a precise, artistic touch, correcting minor flaws like thin gaps between teeth, chips in the enamel, and dark spots. You’re never too old to enjoy the aesthetic and oral health benefits of straight teeth. However, you may consider yourself too old to wear a mouthful of metal braces. 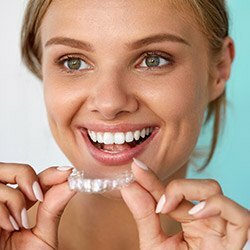 Dr. Boehmer is a certified provider of Invisalign, and she would like to introduce you to this more mature orthodontic service. These clear braces are barely noticeable as they gradually move your teeth into proper alignment. Treatment usually requires about 12 to 18 months, which can be considerably less than the treatment time required with traditional braces. Dark stains and noticeable discoloration can befall even healthy teeth over time. Before trusting in lackluster store-bought products when trying to brighten enamel back to its original glow, talk to Dr. Boehmer about ZOOM! Whitening. This professional-strength formula can dramatically improve smiles by several shades over the course of just an hour-long appointment here in Albuquerque. Take-home whitening kits are also available for patients who’d prefer a more gradual and flexible process. 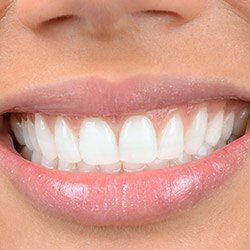 With a smile makeover, Dr. Boehmer combines any number of cosmetic dentistry and restorative dentistry treatments in order to create a plan that will systematically allow you to achieve a healthy and beautiful smile. 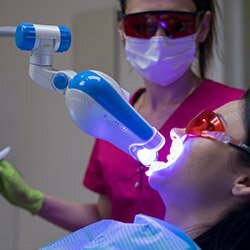 She'll present you with a wide variety of options, and ultimately, you'll decide on the best course of action for your smile makeover. 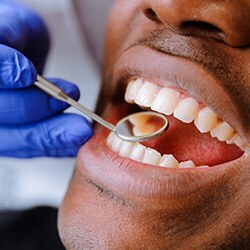 In some cases, simple teeth whitening is all that's needed; other situations call for a combination of cosmetic and restorative dental procedures. Don't let finances stand in the way of your attractive smile. Ask about affordable payment plans when you visit us! Sometimes, the teeth themselves aren’t to blame when a patient is unhappy with their smile, especially when they appear overly short or “gummy.” If the natural gum line isn’t at a proper level, this can be corrected with an aesthetic gum recontouring procedure by Dr. Boehmer. Excessive tissue will be comfortably and precisely eliminated from the mouth, along with any noticeable symmetrical flaws. Previously hidden dental structure will finally be revealed to the world, helping you smile with full confidence. So you’ve finally achieved the stunning smile transformation of your dreams, only to discover that facial wrinkles and fine lines are detracting from its appearance more than you’d like. Here in Albuquerque, Dr. Boehmer enjoys helping her patients elevate their self-image and live more confidently in whatever ways she can, which is why she has the training needed to provide BOTOX, Juvéderm, and other safe dermal fillers right here in-office. 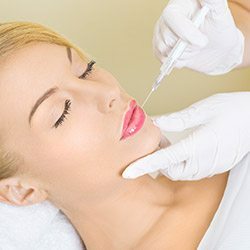 BOTOX injections help to relax the muscles and minimize the appearance of frown lines and crow’s feet. Meanwhile, dermal fillers like Juvéderm can restore youthful volume to the face by gently smoothing away folds and wrinkles.